For jobs both big and small, the right tools make tasks much easier and enjoyable. 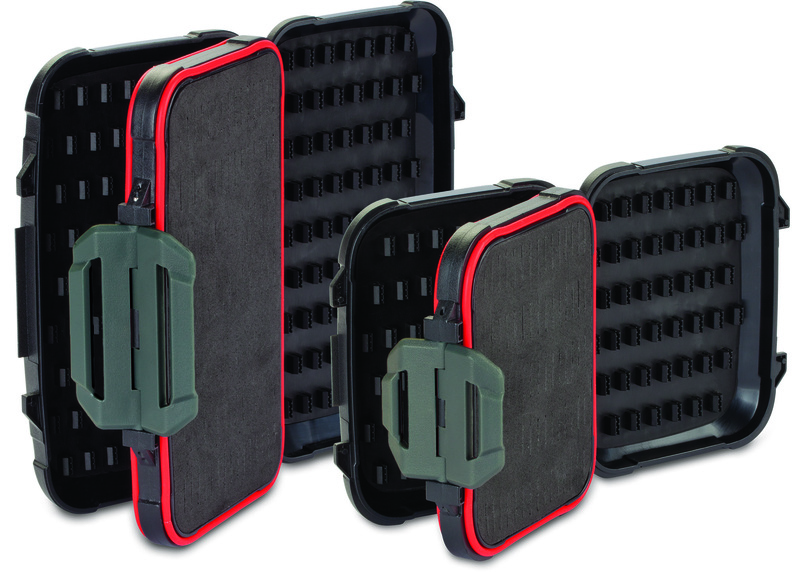 Before hitting the ice this season, make room in your bucket or sled for the following ICE FORCE accessories. Savvy ice anglers are using the handy Rapala Floating Aerator not just to keep minnows fresh, but also to keep fishing holes ice-free. 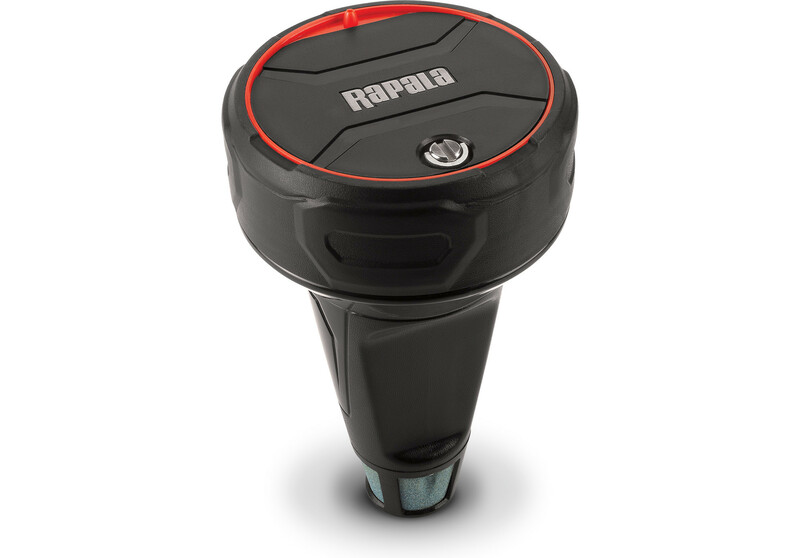 Whether used in a tip-up hole or in a bait bucket, the Rapala Floating Aerator gently mixes air into water, aerating 1.5 liters (0.4 gallons) per minute. Ideal for most bait-storage containers or enclosures, it features a floating, water-activated switch, air-release stone and 18 hours of continuous runtime. Set to run at 15-minute intervals, it will provide 36 hours of runtime. It’s powered by three “C” batteries (not included) and housed in an easy-access enclosure. Rapala’s new Heavy-Duty Electric Fillet Knife is “the knife of choice for me,” says Neustrom who, as a guide, has filleted “way, way over a thousand fish” per year for decades. With twice the blade speed and three times the power of standard electric fillet knives, a Rapala Heavy-Duty Electric Fillet Knife puts into your hand the ability to easily cut through rib bones and backbones and make fast work of walleye, salmon, trout and other large fish. The Heavy-Duty Electric Fillet Knife’s comfortable, relaxed grip provides fatigue-free filleting. An 8-foot power cord gives you plenty of reach for working around a fillet table. Vibration is reduced via a custom advanced air-flow body design, which also keeps the motor running cool and smooth. Rapala’s Heavy Duty Electric Knife Combo includes one Heavy Duty Electric Fillet Knife, dishwasher-safe 6-inch and 7 ½-inch reciprocating blades and a fillet fork to securely hold fish during filleting. It comes in an EVA-padded carrying case. 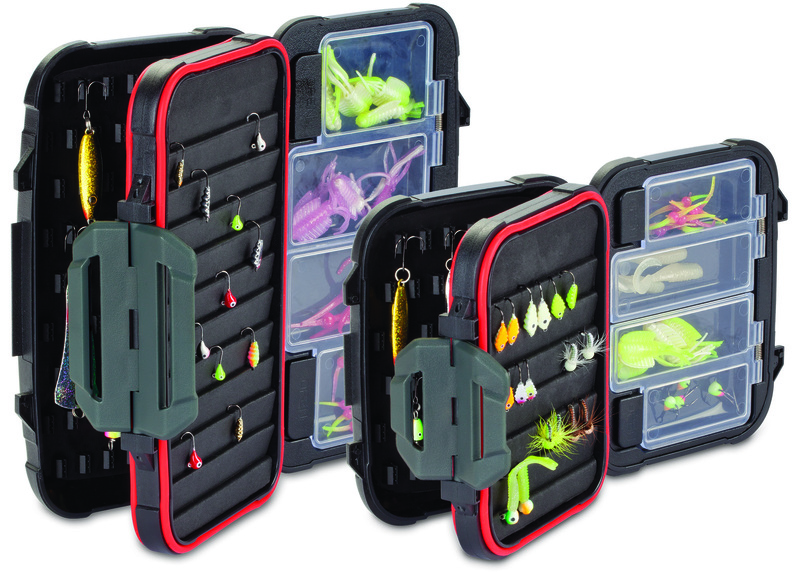 The perfect portable place to store and protect your jigs, the new, heavy-duty Rapala Jig Box features four-sided tackle storage, a waterproof seal, high-compression hook clips, slotted compression foam for protection and extra jig storage. It comes in two sizes – small, 4.75 x 4 x 2 inches; and medium, 6.75 x 4 x 2 inches. The new heavy-duty Rapala Utility Box is perfect for storing both jigs, larger lures, soft-plastics and other accessories you need to make your fishing adventure successful. 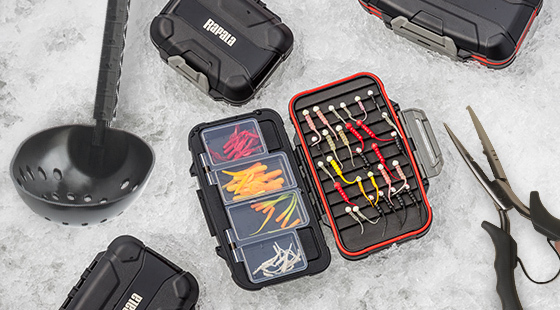 It features four-sided tackle storage, a waterproof seal, high-compression hook clips, slotted compression foam for protection, extra jig storage and easy-open clear-lid compartments. It comes in two sizes – small, 4.75 x 4 x 2 inches; and medium, 6.75 x 4 x 2 inches. When a school is biting hot and heavy, you’ll really miss having pliers if you forget them at home. Rapala Stainless Steel Pliers help hooks come out quick and easily, so you can get your bait back down the hole to another fish. 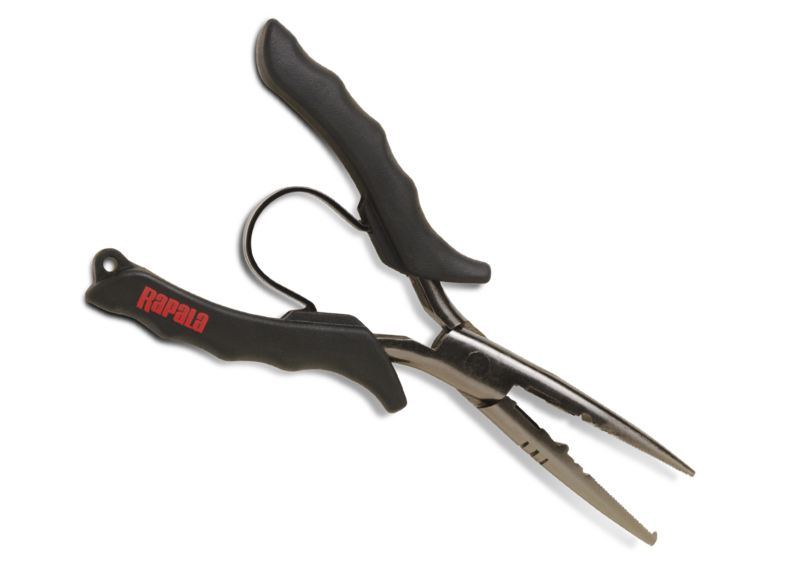 Made with soft-grip handles and a leaf spring, Rapala Stainless Steel Pliers allow anglers the precision of a surgeon but offer enough backbone to be able to pop a big treble from a toothy mouth. A built-in split-ring tool allows you to switch out hooks in an instant without having to deal with a separate tool. Add in a side-cutter for thin wire, line and hooks, and you’ve got a perfect tool for multiple fishing situations. A large, fold-in model, Rapala’s Mega Scoop removes the maximum amount of slush with a minimum amount of time and effort. At 34 inches, it’s just the right length so you can scoop a hole without bending over. 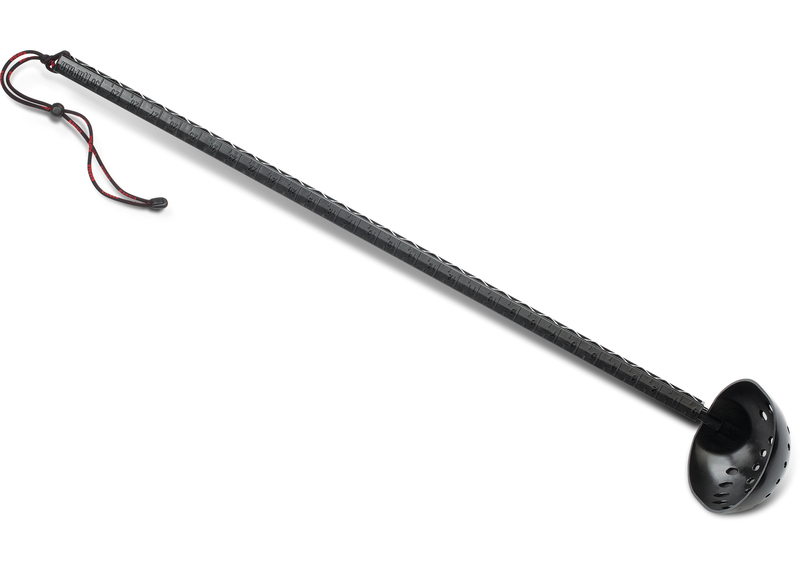 Additional features include a 30-inch fish-measuring ruler on the handle and an adjustable wrist lanyard.